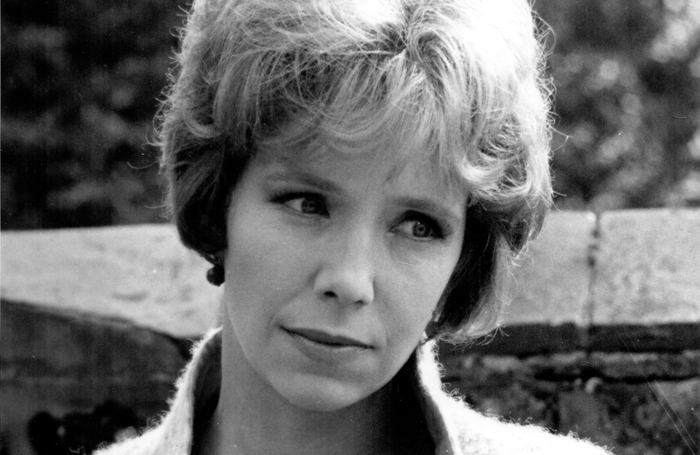 In the 1970s, Margaret Ashcroft secured her place in television history by becoming the first female actor to simultaneously have leading roles in two prime-time programmes. As solicitor Margaret Castleton, she had been seen in Yorkshire Television’s law drama The Main Chance since 1969 (going on to appear in 34 episodes over its seven-year run) before joining the fifth season of the BBC’s The Brothers, a tale of sibling rivalry among haulage contractors, as foreman’s wife Gwen Riley in 1974. Despite a shorter run, Ashcroft was seen in 48 episodes before the series ended in 1976. The niece of Peggy Ashcroft and a graduate of the Old Vic Theatre School, she worked briefly with fellow graduate Joan Plowright in the Watergate Players’ Let’s Make a Revue in 1951 before joining the Exmouth-based West of England Theatre Company the following year. In 1957, she joined the English Stage Company, where appearances included William Wycherley’s The Country Wife, John Arden’s The Waters of Babylon and Kalyke to Joan Greenwood’s Lysistrata. Complaining of typecasting as “tarts with hearts and cockney mums”, she all but abandoned the theatre in the 1960s to concentrate on television, but returned the following decade to regular stage appearances. With the Bristol Old Vic, she was seen in Jules Feiffer’s satire Little Murders (1971) and as Mary Tyrone – “a masterly portrayal… riveting” said The Stage – in Eugene O’Neill’s A Long Day’s Journey Into Night in 1973. In later years, she largely featured in farces and whodunnits, although exceptions to the rule included Edward Bond’s The Bundle with the Royal Shakespeare Company (Warehouse Theatre, 1978), Frank Marcus’ The Killing of Sister George (Connaught Theatre, Worthing, 1983) and Alan Ayckbourn’s Season’s Greetings (King’s Theatre, Stockholm, 1985). In 1996, she was seen in Tracy Hitchen’s monologue Fred and Ginger as a middle-aged woman robustly resisting encroaching years at the Barons Court Theatre, London. Later roles included the manipulative sister Ursula in Nick Ward’s The Wheel (Rosemary Branch Theatre, London, 2001) and the spectral Grace in Ron Aldridge’s You Only Live Twice (Devonshire Park, Eastbourne, 2001 and the Mill at Sonning, 2004). Having made her television debut in 1956, she came to attention as a socially ambitious wife in ATV’s short-lived soap Driveway (1968) and made her small-screen swansong in a 2002 episode of Heartbeat. Margaret Ashcroft was born in Chelsea, London, on February 16, 1931, and died on October 25, aged 85. She is survived by her husband, the actor Morris Perry, and four children.